Here in Boone there's a pretty good Old Navy and I got the absolute cutest bathing suit coverups for the girls the other day. I got Charlotte the 3-6 month size and Camille the 3T size ... bigger than she needs this summer, but I want it to fit her next summer, too! Hmm... thinking out loud here, I should probably go ahead and snag another for Charlotte in 12-18 months. They're on sale and I am going to have them monogrammed before our beach trip next month. I want a good universal color for the monogram that will go with lots of bathing suits ... thinking navy? What would you choose? 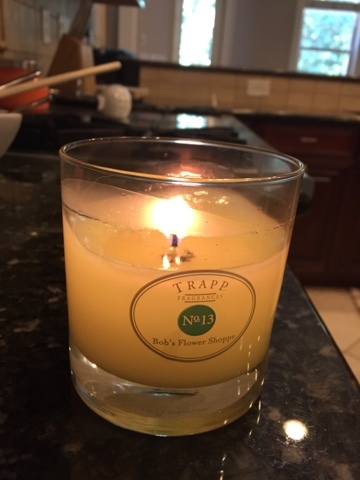 This Trapp candle is one of the better-smelling candles I've smelled in a long time! I'm pretty particular about only burning florals in the hot months and then moving to more comfort-type scents in the cooler months (think warm apple pie, cinnamon roll, you get the picture). Am I alone in that? I'm still loving these Walmart elastic waistband shorts! They are for sure the best deal I've snagged all summer. This is definitely my official summer outfit. Cozy tee, breezy shorts, monogrammed sandals, long necklace. House progress ... stain is going on the floors now and we did decide to go slightly lighter than Jacobean. We did half espresso, half special walnut. I've also had some questions about Camille's bedroom color that I showed on Instagram. It's Lite Lavender by Sherwin Williams. It's the perfect pale hue without being PURPLEPURPLEPURPLE. 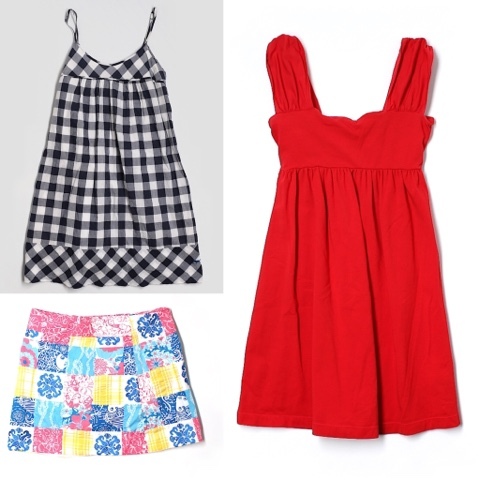 I placed my second order from ThredUp! I ordered two dresses and a Lilly skort. I can't wait to get them and see how they fit. My first order experience was great with all items fitting perfectly. But I do love that they have a very easy and fair return policy. I'm going to try to sell a few items through them in the next few weeks. If you haven't yet ordered from them, you can use my referral link for $10 off your first order! Shipping (on orders under $75) is $5.99. SHHH ... a little secret from me to you. Since shipping is around $6 and you get $10 for free with my referral link for your first order, set your filter to only show you clothes that are $4 and below. There are PLENTY of items in that price range. Then, even with shipping, you can basically pick out an item for free! For example, this Land's End lavender cable-knit cardi is $3.99. 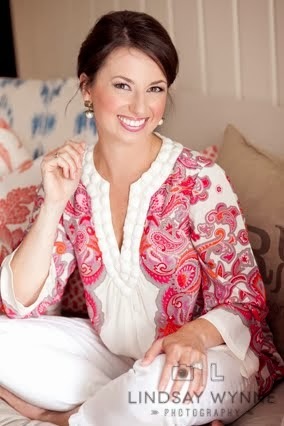 It would be great for a chilly night at the beach over white shorts or with any outfit to transition you into fall. You could even put it over a white button-down for work, button it, and top it with a gold thin belt and gold hoop earrings. Pretty! I went ahead and got a pumpkin candle from TJ Maxx this week -- obvs can't light it until September rolls around at the EARLIEST, but I'm getting excited for fall! My summer candles are always tropical scents - coconut line verbena, anything beachy, pineapple, yum. I still love them all but I'm reaching the anticipation stage. Girl, those Walmart shorts are awesome! I bought three pairs and I have been loving them! I knew I'd read about those Walmart shorts SOMEWHERE! I just ordered two pairs for pickup on Tuesday and i'm so excited! Happy Friday! Ella has a vary similar Old Navy coverup and I had hers monogrammed in hot pink...it surprisingly matches every single one of her swimsuits! I got my Charlotte that little cover up and monogramming it sounds like the best idea ever! Why didn't I think of that?! I also bought her a size up from her usual size, too. She's grown like a weed this past year, I'm hoping she doesn't grow too much more before next summer. M got that pool cover up from the Easter Bunny this past April and it's been a favorite all summer! Love the zipper!